Home expert-guide prepartion ssc ssc cgl ssc-cgl tier-2 tips How to Start Preparation for SSC CGL Tier-2? How to Start Preparation for SSC CGL Tier-2? For the preparation of Tier 2, should I wait for my result first? No, If you are confident enough about your performance in Tier 1, then you start preparing for Tier 2. SSC CGL Tier 2 Examination preparation depends upon English Language and Quantitative Aptitude section. There will be a huge difference between Tier 1 and Tier 2 preparation. 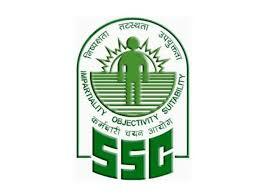 The level of questions in SSC CGL Tier 2 examination will be difficult in comparison to that of SSC CGL Tier 1 exam. So you should not wait for the result of tier 1 exam and must start preparing for tier 2 without wasting any time. Let’s have a look on the exam pattern of SSC CGL Tier II. Paper IV is mandatory for those candidates who had applied for Assistant Audit Officer Post. There will be a gap of 2 hours between Quant and English exams. The strategy can be the most important thing that can make you or break you. A lot of students can clear the Tier I Exam, but only a few can make their name in the list, so the right approach with right strategy is needed to crack it. Since now you have only two subjects to study now so divide your day in parts to study well. In morning devote your 2 hours to learn vocabulary as it is important for CGL exam. Read newspaper daily for 1 hour. Practice mathematics for at least 3 hours from any book. Solve at least one mock paper every day. Devote 2 hours for English grammar concept reading.